Founded in 2013, Kamikaze Collection was created Kai Morita who strongly believed in a no hype industry. 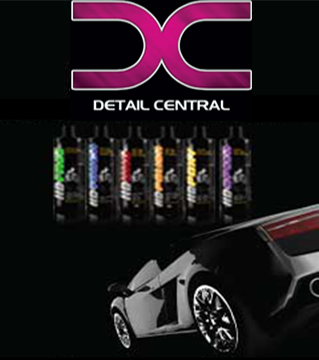 He began shortly developing and testing products of the highest quality to meet the stringent demands of today's detailer. Made directly in Japan without any fancy marketing, Kamikaze Collection adheres to its Anti-ageing Theory to bring about amazing results to their customers. Sacrificial layers are the solution to preventing damage from contaminates and water spots. A Glass Coating on its own can not prevent damage from such things and the like. There is no magical single fix for cars, which is why we need different chemicals to help prevent anything the world has to throw at us. Ceramic and Glass coatings are inorganic compounds which are highly resistant to oil and dust which are that organic. But water can also carry inorganic compounds which are detrimental to the coating. Here at Kamikaze we have known about this problem for more than 5 years and understanding this we have developed our anti-ageing theory. Overcoat is a hybrid of organic and inorganic compounds that reduce water spots and anything else that can damage the paint, but does not provide strong durability and protection by itself. It is however a necessary part of the anti ageing system, the sacrificial layer, protects the main coating which in turn protects the paint. We also make Water Spot Remover which works to safely remove surface water spotting which aids in not damaging the paintwork any further. We can't guarantee that nothing will damage the paint, however we do use the finest ingredients and processes using the latest and most advance manufacturing techniques available and with our system in place we can give it the best chance as possible to maintain its best possible gloss and protection. Our motto No Hype,Just Results. At Detail Central we stock the full range of Kamikaze Collection for your every need whether it be tape, pads, coatings and tools.